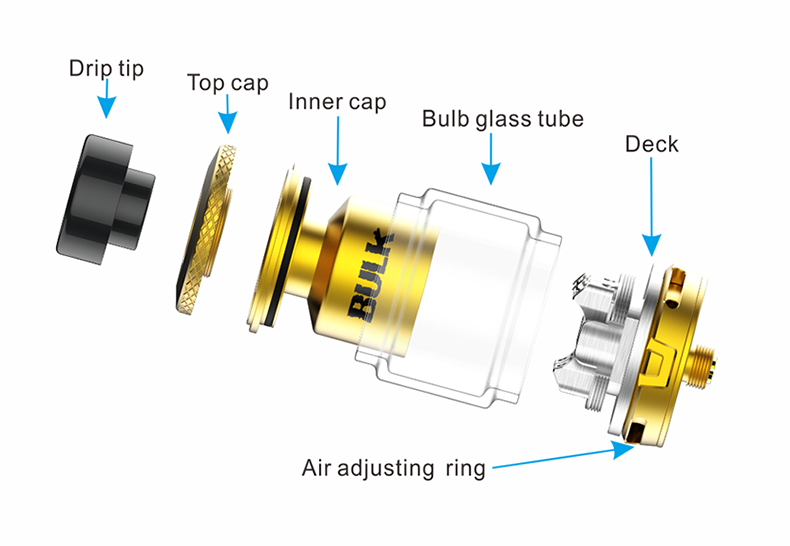 Oumier Bulk RTA is a 28mm rebuildable tank atomizer designed by Oumier and YouTube reviewer VapnFagan. 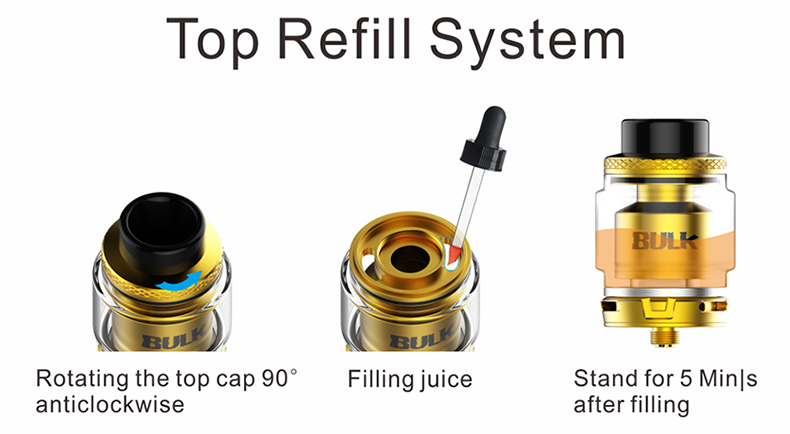 It has 6.5ml max e-liquid capacity. 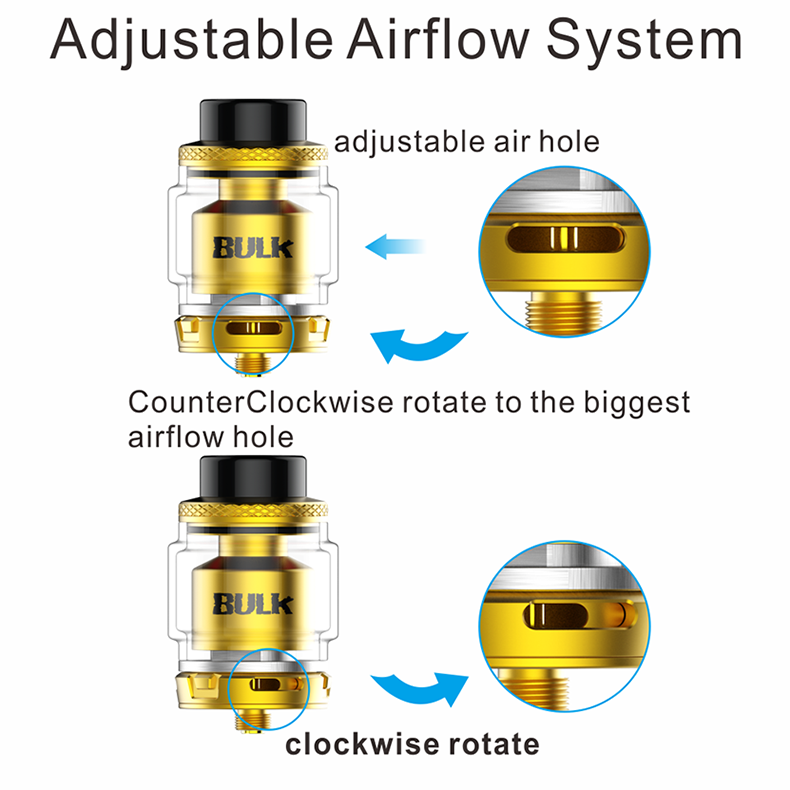 It comes with top refilling design and adjustable airflow control system. 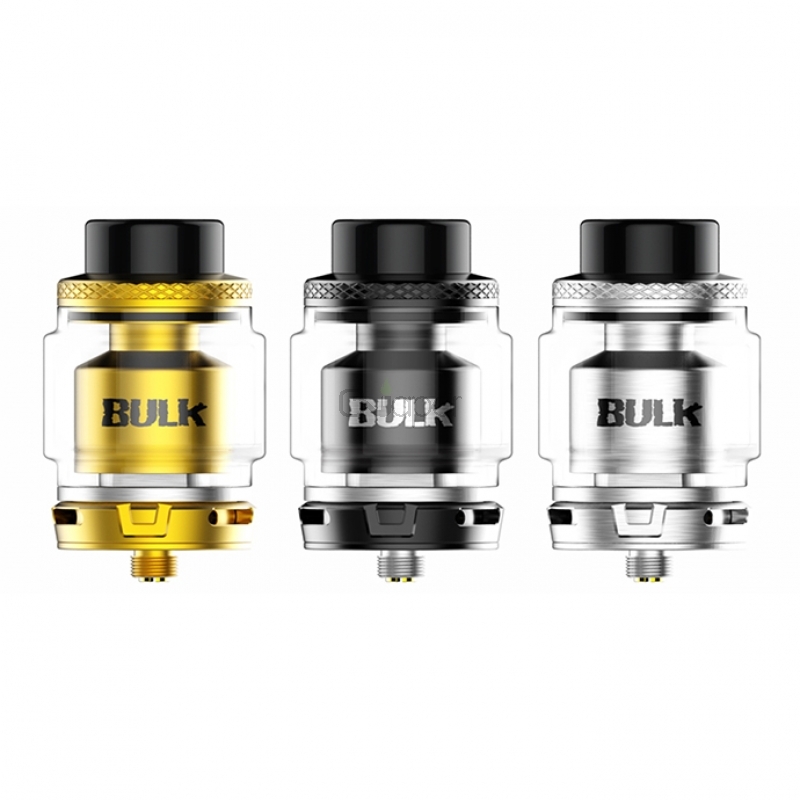 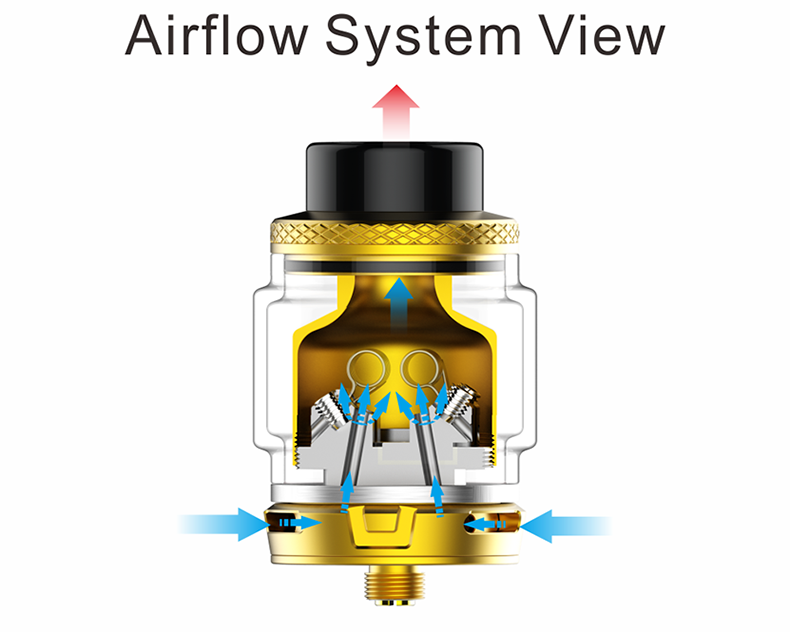 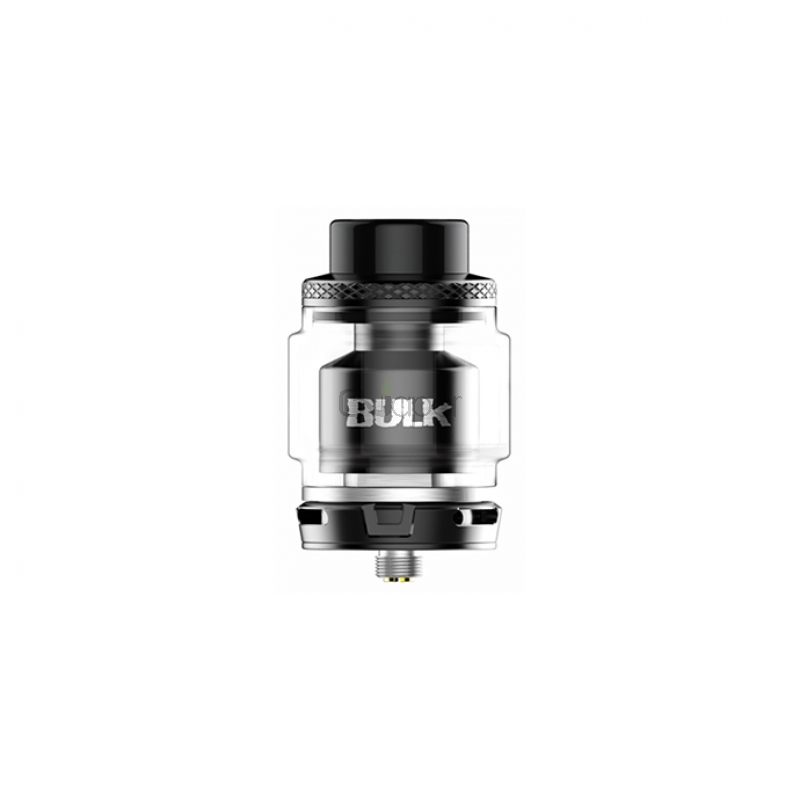 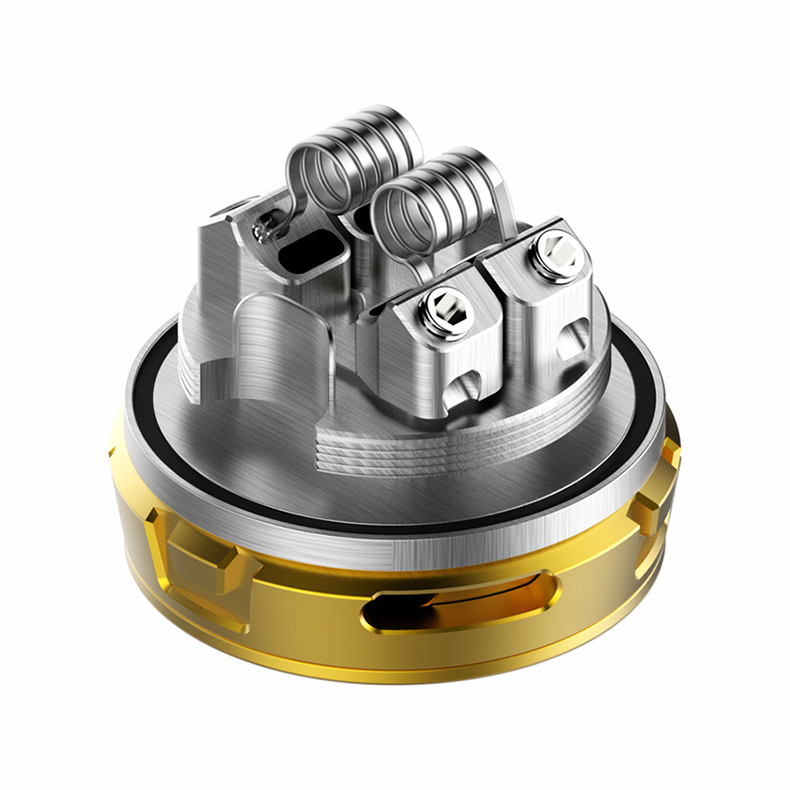 The Bulk RTA adopts postless 4-screws build deck for easy dual coils building. 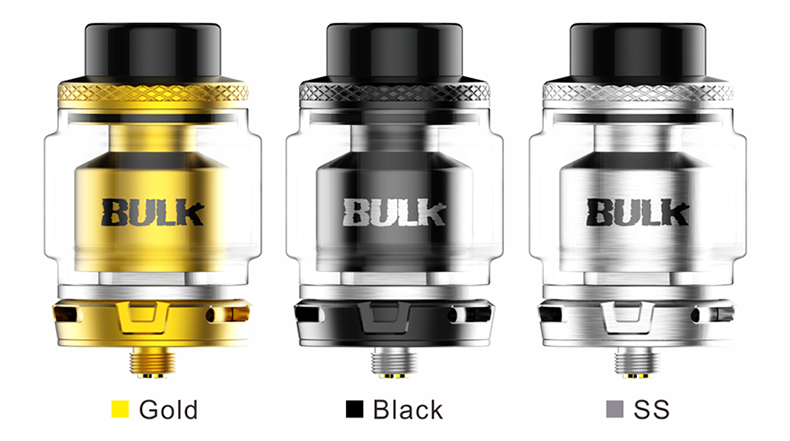 Three color options: Gold, Black, SS. 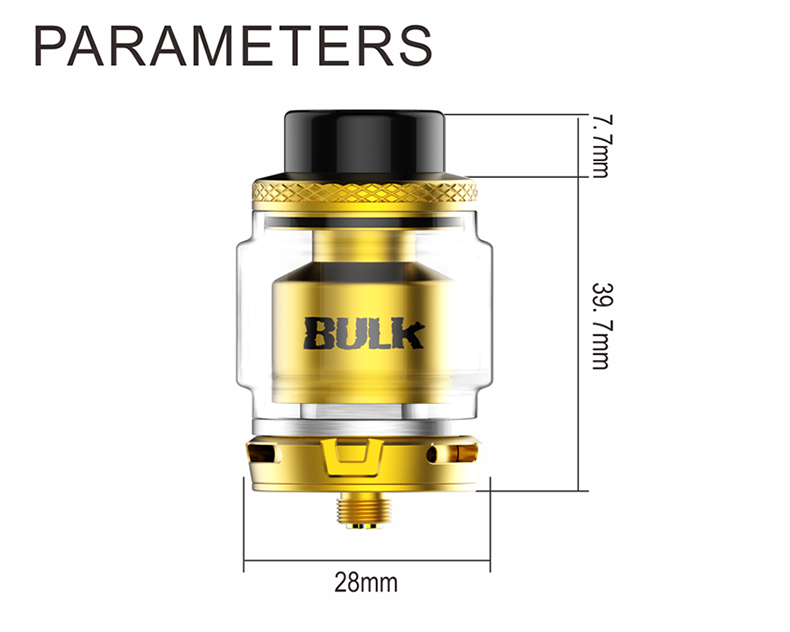 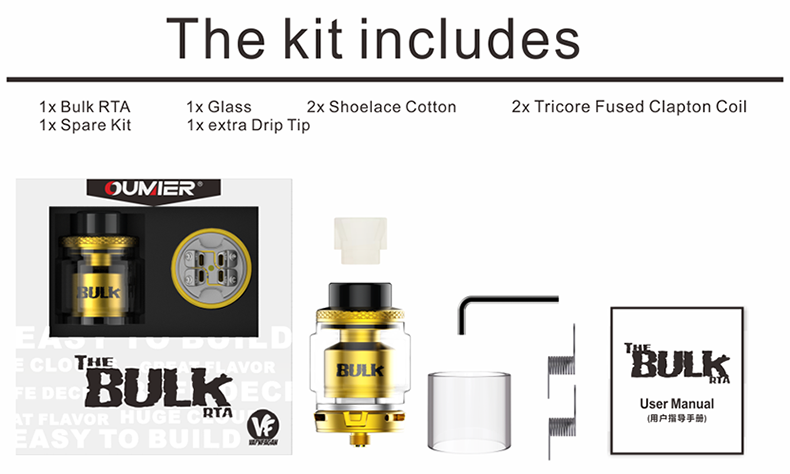 Three Months warranty period for Oumier Bulk 28mm RTA.